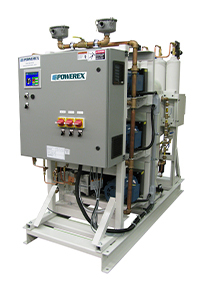 Powerex Medical Air Products | Lewis Systems, Inc.
Powerex Oil-Less Rotary Scroll Air compressor has advanced scroll compressor technology throughout its development. Offers a dynamically balanced air end which insures vibration-free operation and permits a continuous 100% duty cycle. The Powerex oil-less reciprocating air compressor has composite pistons, and continuous bearing lubrication. This advanced technology will provide oil-less air reliability for years to come. 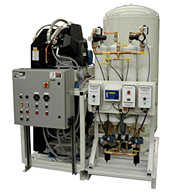 Standard compressor packages are available in duplex, triplex and quadplex configurations. Larger configurations available upon request.